I am only too happy to be involved in this Stopping Distance campaign with Kwik Fit, I think its so important to be aware of your speed on the road. Especially when the recent bad weather can further impact how fast you can stop! Let’s be honest now is the time of year to be the most careful. Road accidents are more common at this time of year, so make sure your knowledgeable about winter road conditions and act accordingly! Watch the informative video below and you will see that it takes TWICE as long to stop in wet weather! Given I live in Wales and it rains a lot this is something well worth noting all year round! But what is also scary is that it can take up to 10 times as long to stop in snow and icy conditions. We went looking for snow a few weekends ago so my boys could play in it. But my husband did drive very slowly there. Fortunately, the roads were also generally well gritted and maintained. However, I think it’s great to raise awareness about stopping distances and how winter weather can affect them. Driving with winter tyres will improve your stopping distances. Summer tyres don’t cope well when the temperature drops, they don’t have as much grip on the road. 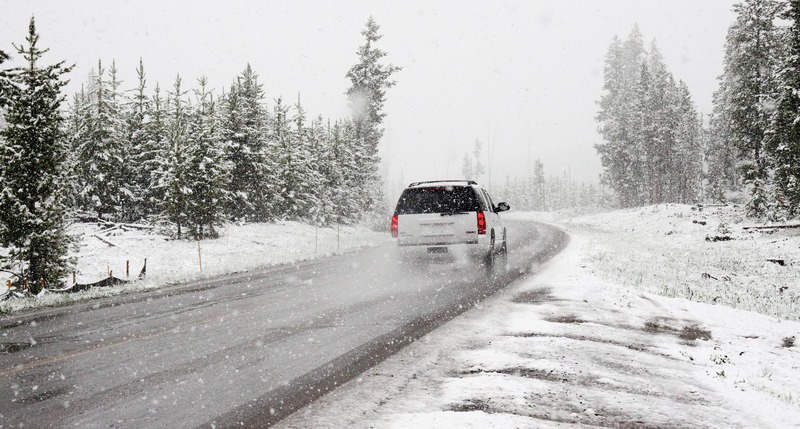 So, you could consider swapping to winter tyres when the temperature drops. Maintain a safe road position. As winter stopping distances are considerably longer than you might expect, make sure you leave a fair distance between you and the car in front! Don’t follow anyone too closely especially when the road is wet or icy. Always maintain concentration when driving but even more so in winter. If you find yourself losing focus find somewhere safe to stop and get some fresh air! Check for tyre wear. Your tyres have a big impact on how quickly you can stop. Tyre dread depth needs to be 1.6mm and above. This is a legal requirement so make sure checking your tyres is an essential part of your usual car maintenance. In winter your visibility might be reduced. My mum and I went shopping yesterday and the fog really affected how much we could see. It’s important to slow down. Please drive safely this winter.